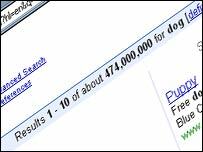 Back in 2000, Mike Lynch was Britain's first dotcom billionaire - in dollar terms, that is. Now, six years after the bubble burst, I suppose he is worth a quarter of that at current exchange rates. But the Cambridge company he founded, Autonomy, is still a global leader in the specialised corporate data search business, while Google - of course - dominates the free-to-use consumer search marketplace. Mike Lynch remains an influential British hi-tech big player who talks with compelling clarity about the business he is in, and its importance to all our futures. Google has become the most valuable media company in the USA if not the world, and searching the Internet looks even more momentous than it did in 2001. 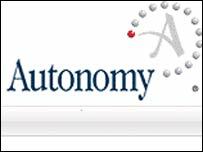 Meanwhile, Autonomy has consolidated its grip on specialised corporate and organisational database searching. I was back in Cambridge the other day interviewing Mike Lynch about his distaste for the European Web Research effort called Quaero - the subject of the last WiP. And Mr Lynch had plenty to say about what he sees as one of the most dynamic facets of current information technology. "The change from a world ordered for a computer to understand to one that human beings like, with letters and emails and video, is now unstoppable," he says. Time for a more targeted search? "We are moving on from having to ask for something by typing a word into a box on a screen to the words being put into context as we need them, automatically. "One of the things I've learnt over the years is that just when you think that everything is set in stone, it changes again. I suspect we're coming up to that situation in search. "What we have at the moment in search is Internet search: you type in a word and it brings you back all the document in which that word appears. "The big change coming in the next few years is a system based on meaning-based computing: the ability to understand the meaning of information and get the computer to do that so that it can help us." An example. If you type the word "dog", you will get every document about dogs - but the really useful one referring to "hound" might be lost amid the millions of others. What Mike Lynch thinks we will use in the future are systems that can work out from the context of our requests just which of the many different facets of the idea of "dog" we are after. 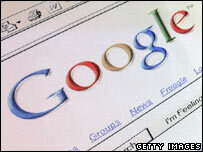 A search engine such as Google is a popularity contest, no matter how intuitive it may appear to be, as it seeks out the most cross-referenced Internet pages. Mr Lynch says the most powerful change in search is called "implicit query". Such a system takes a look at what is on your screen, no matter where it's come from - an email, a web site, a letter you are writing - understands the context, and then seeks out extra information. Without being asked. It will enable people to collaborate at top speed, to use the ideas of others from across the world, he says. "This massively leverages other people's ideas, continuing a process in which technology has been improving the individual's value and creativity with more and more information for the past 2,000 years." He goes on to even bigger computer search issues. "In a few years we will be able to store the whole of our lives, every image, every sound, probably on a device no larger than a one-inch cube. "It may mean that every crime is recorded. "Some people say that human existence requires a little bit of dishonesty; it's the oil that makes the wheels go round. What happens to gossip in this totally recorded world? Does verification make human existence grind to a halt ?" This puts privacy into the centre of the debate about the future - but Mr Lynch points out that it may not be as valued to us as we think. Scientific experiments done in the USA have shown that some people were prepared to make available all the details of their private life for no more than $1.70. Bye bye, privacy... perhaps. Mike Lynch thinks that we are seeing a deep philosophic shift in the way we perceive the world. "The last century was dominated by facts," he says. "Lord Kelvin said that anything that could not be represented by a number was 'meagre and insufficient'. "More and more of our time is going to be spent in a non-existent world, using information with no corresponding material existence. The next century may be all about perception." If he's right, no wonder computer search is going to be so important.